The A90 Average Speed Camera (ASC) system between Dundee and Stonehaven will go live on Tuesday, October 31. ASCs aim to deter vehicles driving at excessive speeds, even out traffic flows, improve journey times and reduce offender numbers. The evidence from previously implemented systems across Scotland show that they reduce the number of people killed or seriously injured on the road. With construction underway since May 2017, the system contains 30 sites across the 51.5 mile stretch of the A90 between Dundee and Stonehaven. Cameras are located 5-7km apart, with 15 cameras operating in each direction. The system has cost approximately £2m, which includes the design process, engineering and installation. 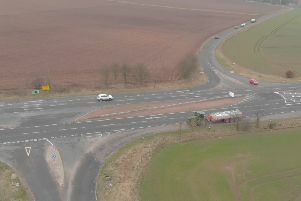 Transport Minister, Humza Yousaf said: “We know that the A90 trunk road has the highest collision rates in Scotland. More than three in every five vehicles travelling between Dundee and Stonehaven are speeding. This system will help reduce that rate and save lives. “The positive impact average speed camera systems have in improving road safety has been evidenced from other areas in Scotland. "We remain committed through Scotland’s Road Safety Framework to 2020 to making our roads safer, and we are working towards an ultimate vision of zero fatalities and reduced number of serious injuries on our roads."